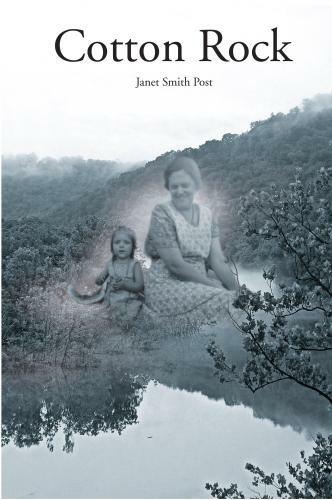 Cotton Rock is a fictional memoir set on the White River of the Ozarks. Four narrative voices tell the story: John Sinclair, is a professor who comes to live in his Grandfather's cabin while on Sabbatical. He agrees to teach a writing class at the Cotton Rock library, and there he encounters the other three narrative voices. Anna McKerry, a native of the Ozarks, is an older woman who is caring for her mother (who has Alzheimer), and her daughter, Leah (who has lost her courage), and her granddaughter, Harlo, (an intense little six-year-old who is worried about many things.) Anna attends the writing class to "pull the scabs off old wounds," and "to find her way out of the swamp." Emmet McDougal is an avid fisherman who writes a fishing report, and tells us that "fly-fishing is as tricky as straddling a barbed-wire fence while standing on two sore feet." Finally, Lucy Freeman believes that children have guardian angels. She titles her writing, "Angel Gossip," because she figures that there "must be quite a passel of angels on the playground over at the Cotton Rock school house. Those angles are bound to swap stories with one another, and I've taken to writing them down. I'm no angel, course, but my sister, Opal, teaches at the school, and between her stories and my Sunday School kids, I've got more stories than freckles on a turkey egg." These four voices combine to tell a story filled with love and loss, hope and heartache, glory and shame-a story of romance, mystery, a drowning, a missing body, and a plethora of rich Ozark language and life.